Business turnaround and insolvency specialist, Wilson Field, has boosted its staff with the appointment of nine new employees at its Sheffield headquarters. The company, based in Ecclesall Road South and which operates nationwide, now employs 86 people. Amongst the new recruits are an Insolvency Practitioner and managerial staff. This is as well as a number of administrative staff and two new apprentices. Managing director Nick Wilson said; “We have recruited across a number of areas to increase our administrative facilities and also to boost our front-line operators who are hands on management for individual cases. “These appointments come on the back of our nationwide office openings and are a direct result of the breadth of workload that we are managing across all of our divisions. The company, which has offices in Leeds, Birmingham, Manchester, Bristol, Cardiff and Swansea, has witnessed consistent growth over the last three years with approximately 20% increases in staffing levels per year. Most of its workforce live within 20 miles of the Sheffield base. 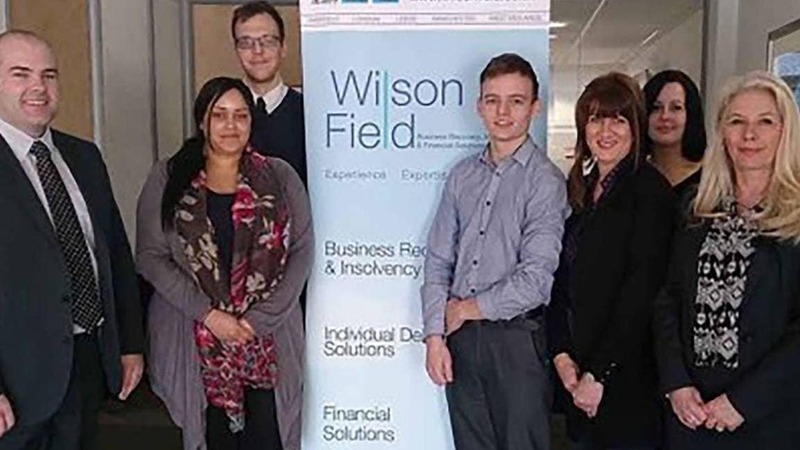 Wilson Field’s team includes Insolvency Practitioners and a large team of experienced and dedicated industry professionals. This places the company consistently within the top tier of UK insolvency practitioners. It also includes many members of staff who have a wealth of experience in the banking sector. So this enables the company to approach each individual case with the best possible solutions.